After going gluten-free and vegan, one item I thought I would never be able to have again is french toast. 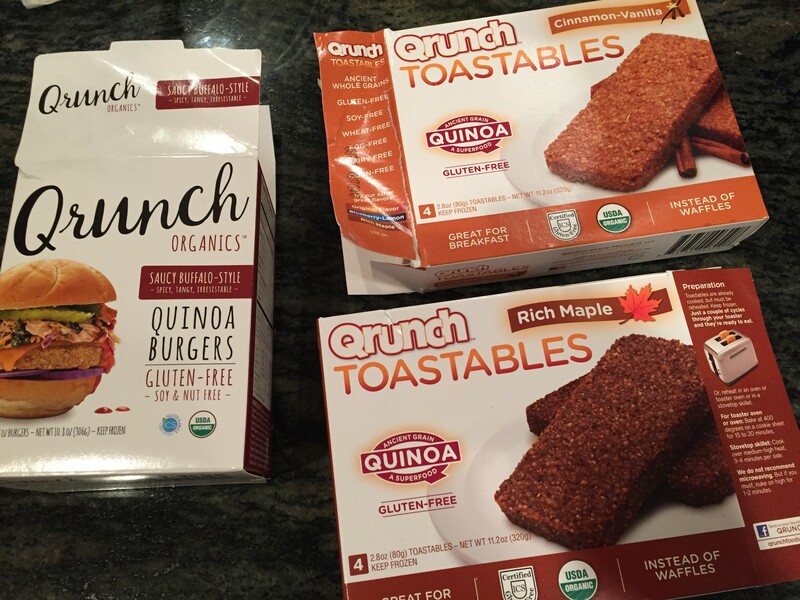 Then I tried Qrunch’s Toastables and all the flavors I missed fill were rediscovered in these tasty, quinoa-based product. 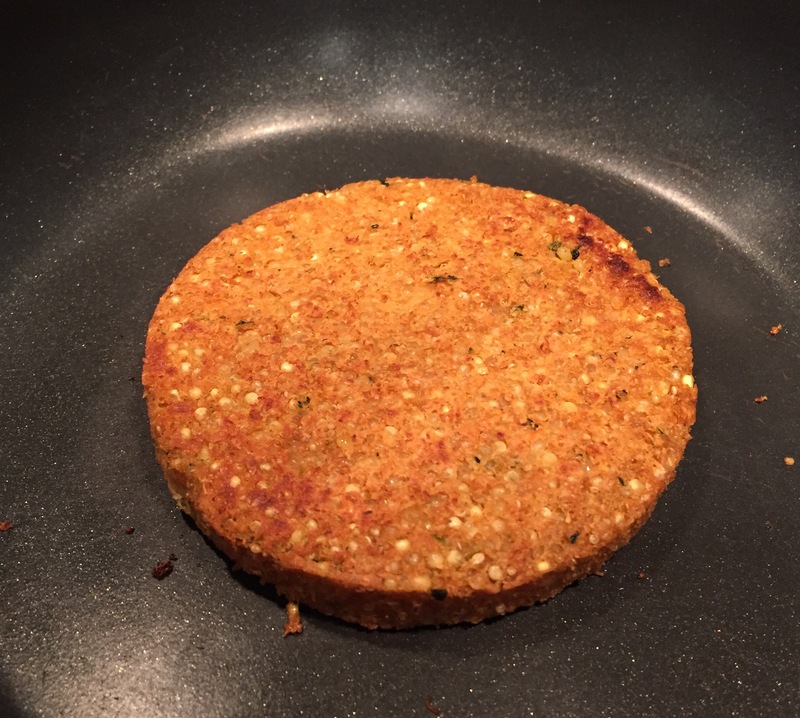 Not to be out-done, the brand’s veggie burgers are likewise delicious and made of the same good-for-you ingredients. I have forgotten exactly where I first heard about Qrunch Organics (formerly QRUNCH Foods) Toastables. I probably saw them in a magazine. Regardless, as soon as I read the words gluten free and vegan being associated with french toast, I soon began an exhausted search to learn more about them and where to find them. Neither is very nice. The Toastables are a relatively new product for Qrunch. 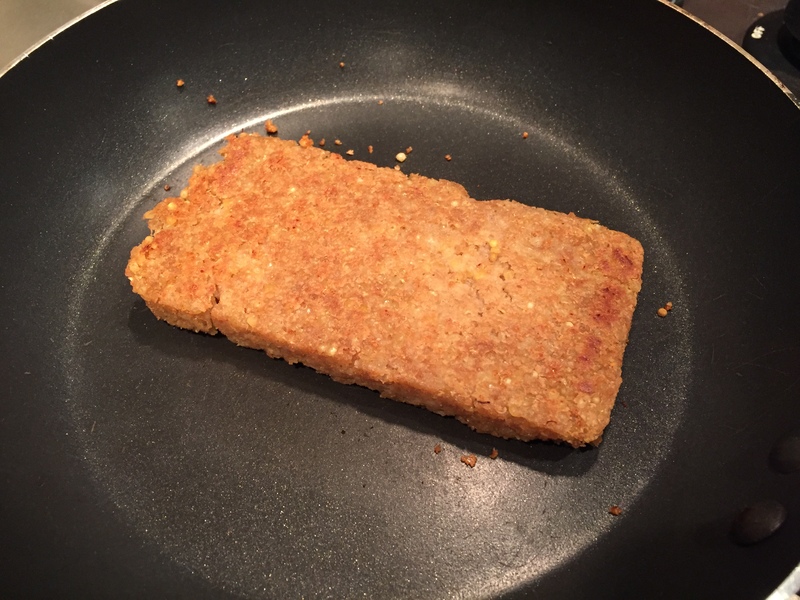 You may be familiar with their frozen vegetable burgers that you can find in stores from Target to Whole Foods Market. I had never tried them… Hilary’s Eat Well has been my longtime favorite. They are so new (I’m assuming), that they are not even listed under the products tab on the company’s website. They are, however, prominently advertised on their Facebook page. That means you cannot buy them directly from that website or any other online retailer that I am familiar with. Fortunately, it is the Facebook page that lead me to finding these gems in my local Meijer. Why are the Toastables so great? Let’s start with the flavor. They come in four varieties: cinnamon vanilla, maple spice, lemon-blueberry and original. I was able to find the cinnamon vanilla and maple spice. Both are amazing. The flavor is not overwhelming, but clearly resemble french toast. They are only lightly sweetened, so they would pair well with maple syrup if you want the true french toast (or waffle as the package mentions) experience. I found them great as is. The texture is also pretty good. I was at first skeptical. They look like a veggie burger would. Apart from being a tad dry, the quinoa blend is surprisingly satisfying. The ingredients are simple: Water, organic millet, organic quinoa, organic amaranth, organic refined coconut oil, organic arrowroot starch, organic cane sugar, organic apple cider vinegar, natural maple flavor, sea salt, organic canola oil in the maple spice. They are all non-GMO, organic and certified gluten free. They are easy to make. You can bake them in an oven, toast them in a skillet or pop them in a toaster. I made mine on a skillet, flipping once. It took less then 10 minutes from frozen to golden brown. Since I was so impressed with the Toastables, I decided to give Qrunch burgers a try. They are in the process of rebranding and recreating them, so they may look different if you are used to their old burgers. I found the new original and new saucy buffalo-style burgers at Meijer. Both come in boxes of four, and are made from equally as nutritious ingredients. The buffalo-style was my favorite. I would not say they scream buffalo, but they have a nice spice level and toasted up well. It paired well with a chickpea and hummus flatbread I made. I served up the original on a portobello mushroom “bun”, and it was quite tasty topped with spinach and a little mustard. If you cannot tell, I highly recommend both Qrunch’s Toastables and quinoa burgers. I look forward to trying out the other flavors if they become available at a store near me.